[The] Ramarajya of my dream ensures equal rights alike of prince and pauper (Amrita Bazar Patrika (a Kolkata daily, ceased publication), 02.08.1934; The Pioneer, 03. 08. 1934. CWMG 64 p. 231). Only in this sense his Ramarajya is truly democratic: no discrimination is made between the rich and the poor. Whatever be the citizen’s economic status, he or she is assured of this. Gandhi’s vision of democracy covers this much. By political independence I do not mean an imitation to the British House of commons, or the Soviet rule of Russia or the Fascist rule of Italy or the Nazi rule of Germany. They have systems suited to their genius. We must have ours suited to ours. What that can be is more than I can tell. I have described it as Ramarajya i.e., sovereignty of the people based on pure moral authority. (Harijan, 02-01-1937, p. 374, CWMG 70 p. 232). Friends have repeatedly challenged me to define independence. At the risk of repetition, I must say that independence of my dream means Ramarajya i.e., the Kingdom of God on earth. I do not know it will be like in Heaven. I have no desire to know the distant scene. If the present is attractive enough, the future cannot be very unlike. (Harijan, 05-05-1946, p. 116, CWMG 90 p. 327). 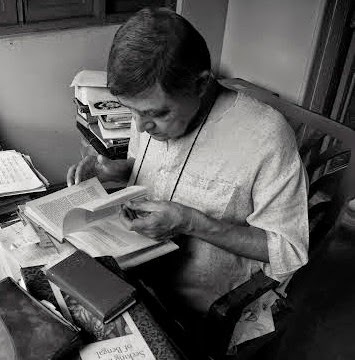 Gandhi most probably got his idea of the two kingdoms from the Lord’s Prayer, the prayer Jesus taught his disciples (called Paternoster by the Catholics) to be found in the Gospel according to St. Matthew 6:10: ‘Thy kingdom come. Thy will be done in earth, as it is in heaven’. My conception of Ramarajya excludes the replacement of the British army by a national army of occupation. A country that is governed by even its national army can never be morally free and, therefore, its so-called weakest member can never rise to his fullest moral height. (ibid. ; CWMG 90 p. 327). A few months after this, Gandhi added a new dimension to his concept of Ramarajya: it was mutual toleration of all religions, but not secularism. He made the distinction clear by proclaiming himself to be a Hindu, but at the same time highlighting the fact that it was his Hinduism that taught him to be tolerant towards all religions: ‘My Hinduism teaches me to respect all religions. In this lies the secret of Ramarajya’. (Harijan, 19-10-1947, p. 378). What are we to gather from all this? In his speeches and writings Gandhi links Ramarajya to several ideas, both ancient and modern, Hindu and Christian (for example, the kingdom of God on earth), democracy, justice, equality, religious tolerance, and last but not least, Swaraj. However, one looks in vain for a thread that would connect all this. No concrete image of an ideal state envisaged by him comes out of these stray and occasional statements. One has a feeling that Gandhi never attempted, or even thought of attempting, to provide a clear picture of India as she could be made to be or as Gandhi would like her to be. What Jawaharlal Nehru said about Gandhi’s idea of Swaraj can be applied equally to his concept of Ramarajya: both are ‘delightfully vague’ (p.76). 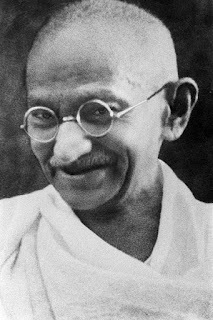 Gandhi never worked out the details of all the dimensions – political, economic, social, and educational – of his ideal state. His comments hover between the kingdom of heaven and the kingdom on earth. It is difficult to decide the nature of this Ramarajya, except one fact: it is altogether free from violence. That’s all. All other vital issues, for example, who would control the means of production, how wages are to be determined, what would be the system of pedagogy, etc. etc. remain unanswered. Perhaps they were never addressed by Gandhi. Notwithstanding its explicit acceptance of the varna system and adherence to the prescribed duties of every varna (Tulasidas improves upon Valmiki by declaring that the division of works is ordained by the Veda, something that Valmiki did not say). The Ramarajya of the Ramayana within the compass of only seven couplets at least posits the pangs of early death, the husband predeceasing the wife and such other elemental questions. Tulsidas too takes up these themes in his verses. The scattered pronouncements of Gandhi about his dream of the Ramarajya, however, do not touch even one serious question concerning life and death. The only consolation he offers to the toiling masses is the lessening of the cost of litigation and assurance for democracy, which again is never defined by him in clear and unambiguous terms. One point, however, is evident: Gandhi merely borrowed the name Ramarajya from the Valmiki Ramayana and/or the Ram-charit-manas. His utopia does not resemble the Ramayana utopia except in one particular detail: both are class-utopias. As the Valmiki Ramayana upholds the sanctity and inviolability of the varna system and the hierarchical arrangement of the existing society, so does Gandhi approve of the co-existence of the prince and the pauper, without holding out any hope for the abolition of inequality even in the distant future. One might at best call it: Gandhi’s dream of a non-violent yet effective state, devoid of all immorality and inequity. It is no wonder that in independent India a political party called Akhil Bharatiya Ram Rajya Parishad (All India Council of Rama's Kingdom) came into being. It was founded by Sriswami Karpatriji Maharaj in 1948. Karpatri wrote a voluminous work (xii+804 pages) in Hindi called Marxvad aur Ramarajya (Gita Press, Gorakhpur, 2014 Samvat=1957-58 CE). Next year Mahapandit Rahul Sankrityayan came out with a short polemical pamphlet (iv+75 pages in the sixth edition) in 1959, appropriately named Ramarajya aur Marxvad. The Akhil Bharatiya Ram Rajya Parishad was dharmic in their political outlook. Hindu dharma, it believed, does not generally accept the (Western) concept of a nation-state because dharma is said to permeate the entire universe, rather than demarcate people based on a geo-political entity such as the state. Like Hindutva-based parties, this party too wanted a uniform civil code in India, based on the Code of Manu with non-violence (ahimsa) as its first creed. Gandhi, M.K. Collected Works. Delhi: Publications Division. Electronic version. Gospel according to St. Matthew. The New Testament. King James Version. London: British and Foreign Bible Society, 1929. Nehru, Jawaharlal. An Autobiography. New Delhi: Oxford University Press, 1989. Ojha, Krittivasa. Ramayana. Ed. Subodh Chandra Majumdar. Kalikata: Deb Sahitya Kutir, n.d.
Ruesen, Joerm and others (eds.). Thinking Utopia: Steps into Other Worlds. New York: Berghahn Books, 2005. Sankrityayan, Rahul. Ramarajya aur Marxvad. New Delhi: People’s Publishing House, 1982 (first published 1959). Valmiki Ramayana, The. Critically edited by G.H. Bhatt and others. Baroda: Oriental Institute, 1960-75.